This week’s Produce Mom Pick is Cucumber! 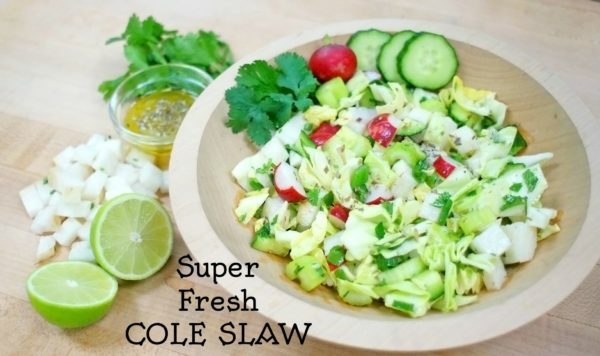 This recipe, by Frieda’s Produce, includes cucumbers, and is so light and fresh you won’t believe you’re eating 7 vegetables in one sitting! A light-as-air lime vinaigrette gives it that zing that makes you want another bite! The key to this recipe is having every ingredient chopped into the same ½ inch sized pieces—making it a chopped salad!